kVA is a common electrical term used to describe the amount of electrical power that a meter can feed to a building or site. It stands for Kilo Volt Amperes and one KVA equals 1,000 Watts of power. Many businesses misjudge the kVA capacity they require by trying to link their maximum power requirement (kVA) to their total annual energy usage (kWh). This is not advisable, as there is no direct link between kVA requirement and annual energy usage. For example, two businesses may both consume 100,000 kWh per year. One may run an item of equipment with a large power requirement for an hour a day and the other may use less powerful equipment for longer. Although they both use the same amount of energy, the first business requires more power because there will be more energy transferred to the building in a shorter space of time. Modern P272 legislation means that any meter over a certain size must measure consumption to a half hourly resolution. This data will let you know how much electricity your building draws at peak usage and, hence, what kVA the meter needs to be. If you have your half hourly data, you have the tools to figure it out. Remember, any business can install a half hourly meter, regardless of legislation. Contact us if you need some help with this. 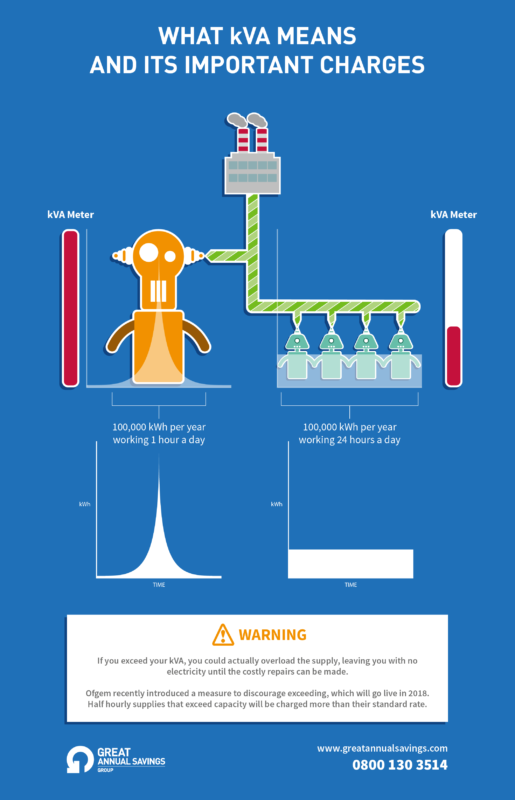 What happens if you exceed your kVA? In short, it can be serious. In a worst-case scenario, you could actually overload the supply, leaving you with no electricity until the costly repairs can be made. For a business, this is going to hit you hard in the pocket. But this can now cost you even more. Ofgem recently introduced a measure to discourage exceeding, which will go live in 2018. Half hourly supplies that exceed capacity will be charged more than their standard rate. 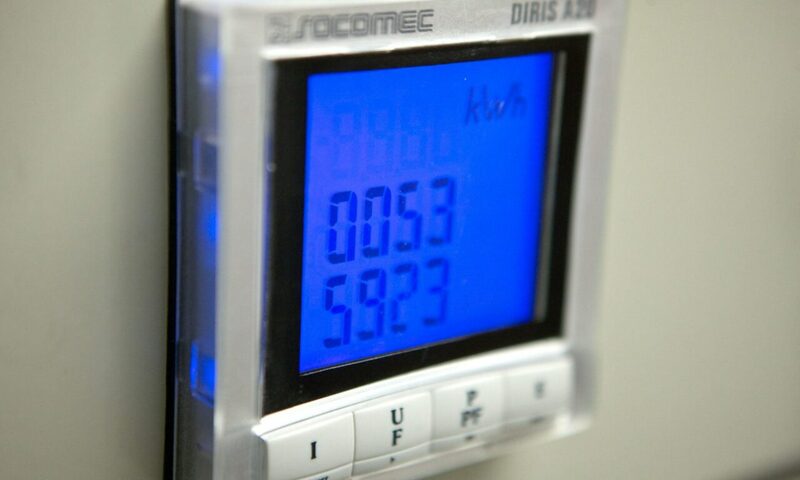 In fact, it is expected that these charges will result in the amount you pay increasing by as much as three times for anything consumed over your kVA. This penalty is proposed to recover costs that exceeding KVA imposes on your DNO (Distribution Network Operator), who is responsible for physically delivering your electricity. This new legislation is called ‘DCP161’ and will be a change in the Distribution Connection and Use of System Agreement (DCUSA). This means you need to understand your max demand in advance of the legislation taking effect in April 2018. Make sure your supply has the right KVA – it could cost you more to have a higher kVA supply, but not as much as the penalty charges for exceeding your capacity could incur. Applying for extra electricity in your area can be a lengthy process, so the time to act is now. The other option, of course, is to reduce your consumption – the best way to guarantee a drop in your energy expenditure. If you require help with either a kVA analysis or reducing your consumption, we can lend a hand at Great Annual Savings Group. Simply give us a ring on 0800 130 3514 or drop us an email.